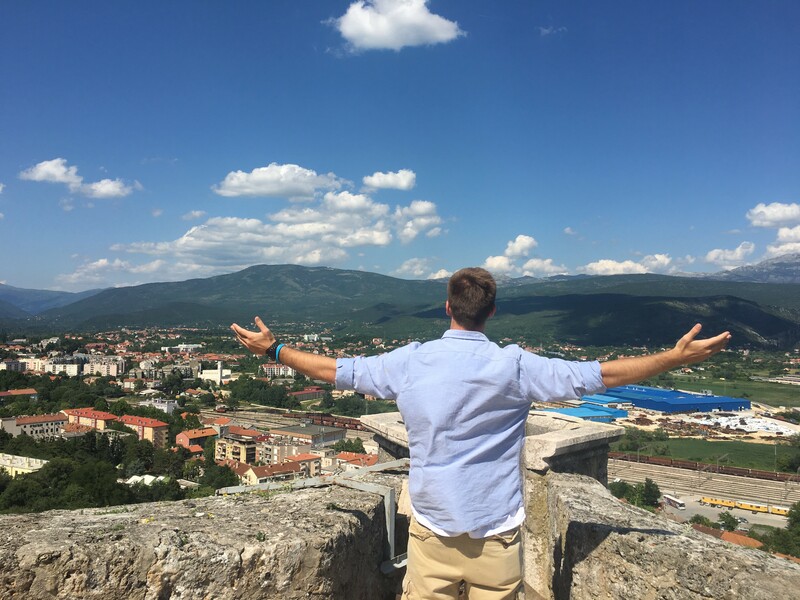 The study abroad program gave me an authentic experience into the lives of people living in Croatia. The program was more than I could have expected and definitely something I will carry with me throughout life. The greatest memories involved exposing myself to a completely different culture. We walked to the Cathedral of the Assumption of the Blessed Virgin Mary and were greeted by people in the community dressed in their cultural attire from hundreds of years ago. We chatted and they handed out fresh cherries and pastries for us to eat. It was all very brief but it showed me how kind they were to strangers and how much pride they had in their heritage. I decided to arrive in Croatia a day before the program started to see the capitol of Croatia. Stepping out of the cab was like stepping into another world. There were markets with fresh strawberries and flowers. Kids were playing and running up and down the streets. There were beautifully detailed chalk drawings on the sidewalks and the atmosphere was so welcoming. Within 1 minute I knew this was going to be an incredible experience. What do you think your gained from studying abroad? I was able to step outside of my comfort zone and realize just how much I take for granted back in the United States. I became aware of just how privileged I was whether it be expecting everyone to speak my language, having family or friends around I can rely on, or not feeling displaced by being exposed to a completely different culture than my own. Now with a greater understanding for the privilege I have, I understand that I have a responsibility to advocate on behalf of oppressed populations that don’t have the same opportunities as I have. Studying abroad enhanced all of the experiences I gained at IUPUI. 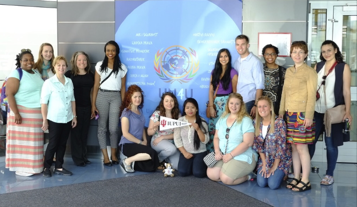 The experience allowed me to put into use all the information and skills I learned while attending IUPUI. Throughout my four years at IUPUI, I was an FYS Mentor for O-Team, an Academic Success Coach for the Bepko Learning Center, a Junior Research for the Multidisciplinary Undergraduate Research Institute, an Ambassador Club Chair and Senior Representative in the Bachelors of Social Work Student Association, and an intern as a Family Advocate at The Julian Center. 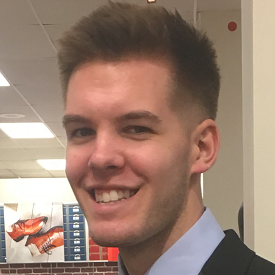 While I have been actively engaged in campus and community organizations, there are just some things you can’t learn from reading a textbook or meeting people in your community. IUPUI gave me the opportunity to learn and grow in a way I didn’t know was possible. For any students considering studying abroad, I would say go for it. There are some things you just can’t learn from a textbook. And if you do study abroad, really step outside of your comfort zone because you will grow in so many ways you didn’t think were even possible. I recommend studying abroad for everybody. If you could sum up your study abroad experience in one sentece/quote, what would it be?